By connecting devices, people, vehicles and infrastructures, cities can improve community wellbeing and other economic and financial aspects. Nonetheless, smart cities are complex ecosystems that comprise many different stakeholders (network operators, managed service providers, logistic tenters...) who must work together to provide the best services and unlock the commercial potential of the so-called IoT. This is one of the major challenges that faces today's smart city movement and the emerging “API economy”. Indeed, while new smart connected objects hit the market every day, they mostly feed “vertical silos” (e.g., vertical apps, siloed apps) that are closed to the rest of the IoT, thus hampering developers to produce new added value across multiple platforms and/or application domains. Within this context, this talk will present the strategic vision and ambition of the EU to overcome this critical vertical silos’ issue, along with the first building blocks underlying an open IoT marketplace referred to as IoTBnB standing for “IoT service puBlication & Billing” - developed as part of the bIoTope project in the framework of the Horizon 2020 EU programme. 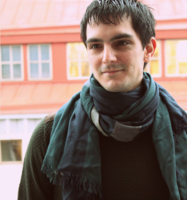 Dr Sylvain Kubler is Research Associate at University of Luxembourg (SnT – Interdisciplinary Centre for Security, Reliability and Trust), and was before (2013-2015) Postdoctoral Researcher at Aalto University (department of Computer Science). He received his M.Sc. degree and Ph.D. degree in Computer Science and Engineering from the Université de Lorraine (France) respectively in 2009 and 2012. He was awarded the best Thesis in Automatic Control from the IFAC French Workgroup GdR MACS. He has broad expertise in Internet of Things, Communication Networks, Product Lifecycle Management, Multi-Criteria Decision Making and Fuzzy Logic.